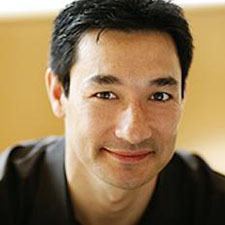 Brian Chee is managing partner at Polaris Partners, a $3.5 billion private investment firm focused on early- and growth-stage investments in health care and technology. Prior to joining Polaris, Chee gained significant experience in business operations and leadership. Chee is a decorated veteran, having served as captain in the US Army Corps of Engineers. His service included the command of combat engineer soldiers during the Gulf War. As platoon leader, Chee was awarded the Bronze Star and the Army Commendation Medal with Valor for successfully completing missions while encountering enemy fire on the front lines. Chee has also worked at Goldman Sachs and Baxter Healthcare, a global company with expertise in medical devices, pharmaceuticals, and biotechnology. He is a graduate of the United States Military Academy at West Point and Dartmouth’s Tuck School of Business.